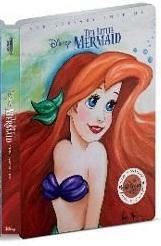 Venture under the sea where Ariel, a free-spirited mermaid princess; longs to be part of the human world. After bravely striking a bargain with Ursula, a sneaky sea witch, Ariel embarks on the adventure of a lifetime. With Flounder and Sebastian at her side, Ariel will need all of her courage and determination to make things right in both her worlds.